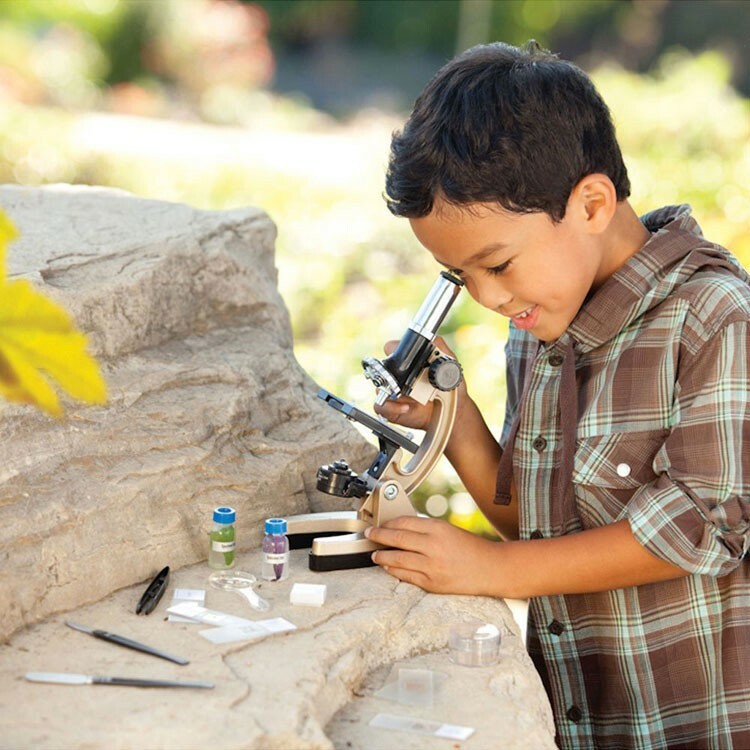 With Educational Insights' top selling kids microscope children of all ages will be able to conduct real science experiments in their own homes or classrooms. 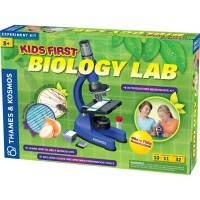 Get ready to transform any room into an exciting modern laboratory! 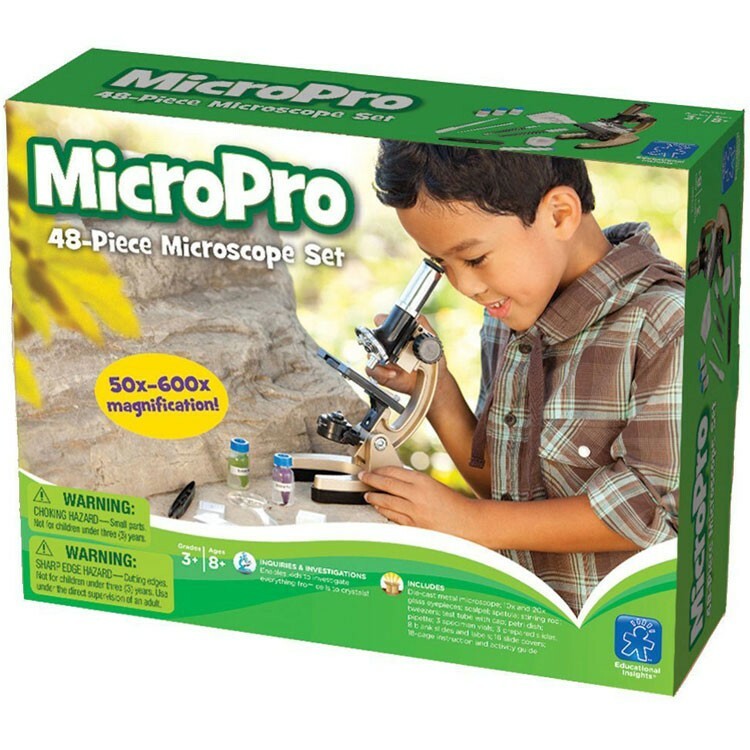 With the MicroPro 48-piece Kids Microscope Set by Educational Insights, children of all ages will be able to conduct real experiments in their own homes or classrooms. 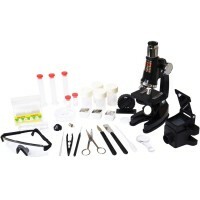 The GeoVision optic toy series Micro Pro 48-piece Microscope set features high quality glass eyepieces, multiple power settings, a built in light and rack and pinion, as well as professionally prepared slides and special tools to create your own slides to analyze. 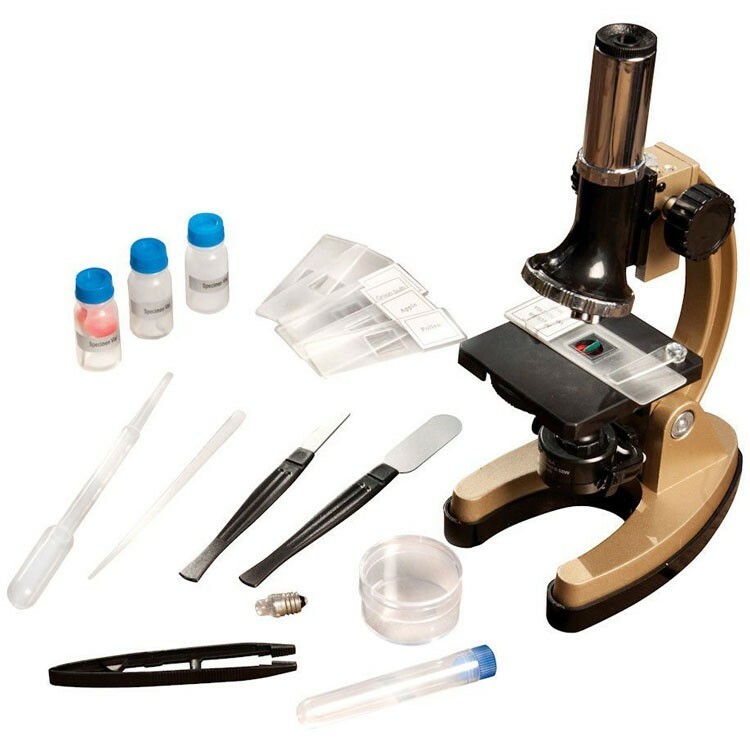 This microscope science activity kit is designed with the safest and most durable materials, including die cast metal, and even comes with a one year limited warrantee from the manufacturer. 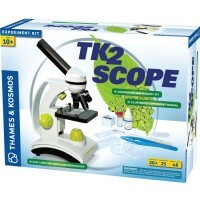 Educational Toys Planet offers the this kids microscope set as more than just a toy, but rather as a unique learning instrument at a great bargain. 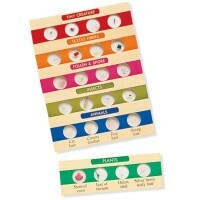 Magnify the world around you 50x, 100x, 150x, 300x, or even 600x! 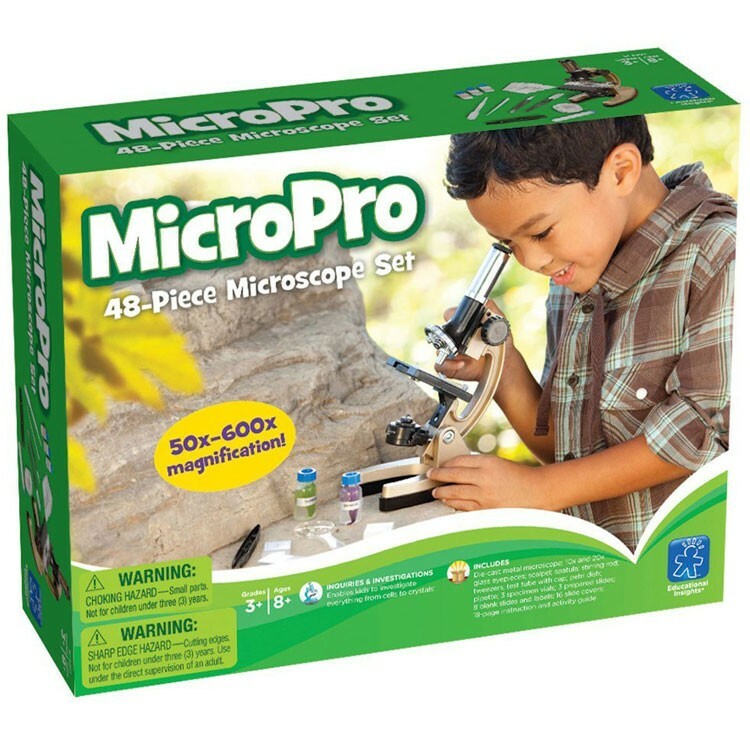 MicroPro 48-piece Kids Microscope Set gives you power, precision, and sparks a lifetime of learning! 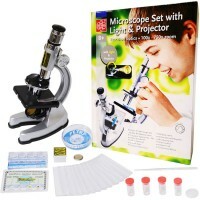 Dimensions of package 10" x 3.8" x 13"
Write your own review of MicroPro 48-piece Kids Microscope Set. 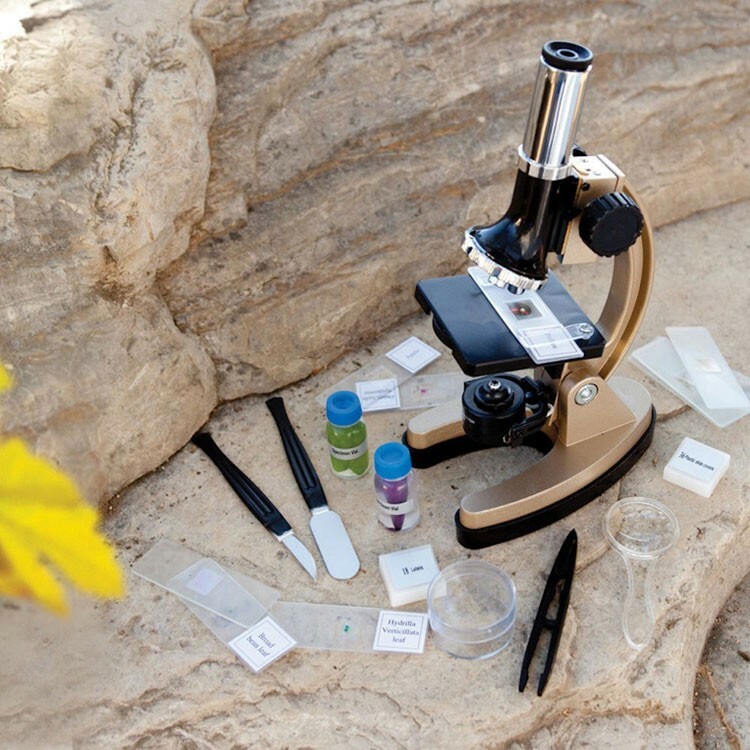 Rating: 5 by Shannon, VA great microscope. 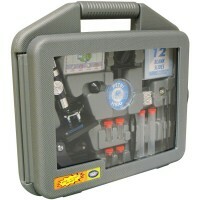 were happy with the sevice. 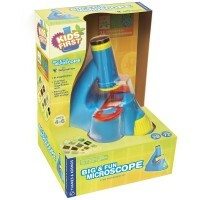 Rating: 5 by Paul, NJ Excellent microscope set for children. 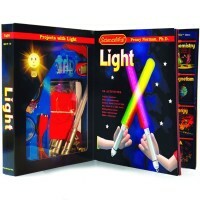 My son is a science fan. 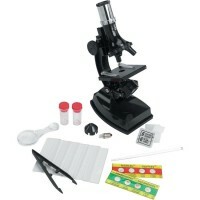 He loves working with the microscope and all the accessories. Rating: 4 by melvin, NY It's age-appropriate and would seem to encourage development of projects that can be carried out singly or with parents. I'll know more after it has been used. 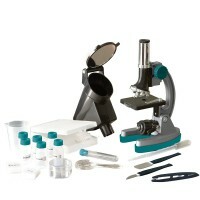 Rating: 5 by Daniel Wilson, IN I purchased this microscope for my granddaughter who needed it for the science fair project. She likes it so much, that she keeps using it for her other microscoping research and ideas.